Posted on April 19, 2019 . by Patrick Johnstone. Leave a comment. Posted on March 23, 2018 . by Patrick Johnstone. Leave a comment. Douglas College has been running an interesting talk series this year under the banner of “Urban Challenges Forum”. The final episode of this semester occurred on Wednesday night, and deserved a better turnout than it received, considering the amount of social media bits and watercooler shatter we have in New Westminster around the topic: the livability impacts of truck routes and goods movement in our community. Fortunately, they recorded video of the event, and will (hopefully?) be posting it on line. It is worth the time to see how the four panelists speak about trucks from different viewpoints: an urban systems geographer, a representative of the trucking industry, a representative of the Port Authority, and the CAO of New Westminster, a City that is (arguably) impacted most by the negative externalities of “goods movement” in the region. I want to give a quick summary of my take-away points before raising the question I never got to raise at the event, partly because of the time constraints, partly because no-on needs to hear from a Politician when actual thinking people are speaking, and partially because I wasn’t sure how to phrase my question in the form of a question*. Peter Hall (the geographer) reminded us that transportation, by its very nature, makes us selfish, and makes us act in shamefully selfish ways (speeding, tailgating, yelling at others). This is at least partly because it isn’t an ends, but a means, and its hassles are preventing us from meeting these ends. Add to this our general ignorance about freight, and we get a selfish ignorance about goods movement – we all want the benefits, none of us understand why we need to tolerate the costs. Trucking also has many benefits and externalities, and they are not evenly distributed. Altogether, this makes it a vicious political problem, not made easier by jurisdictional overlap. Matthew May from BST Transport and Peter Xotta from the Port of Vancouver gave similar messages about their respective industries: they need to keep the goods moving in the National Interest. You ask for tomatoes in the store, you need to deal with trucks. You want a vibrant economy, you need trucks and ports. You live in a Gateway, and we will accommodate your community as best we can (even want to make you happy! ), but the mandate is to drive the economy. Lisa Spitale gave a concise summary of some of the interface issues New Westminster has dealt with over the last few decades. With rail and roads encircling the community and a Regional Growth Strategy mandate to be a dense Urban Centre supported by (and supporting) transit, we are a hot spot for the externalities of goods movement, by rail and truck. If I had a point to make at this event (again, I could not put this in the form of a question), it is that we have *chosen* to accept the level of negative externalities that come with a large number of diesel trucks in our neighbourhoods. 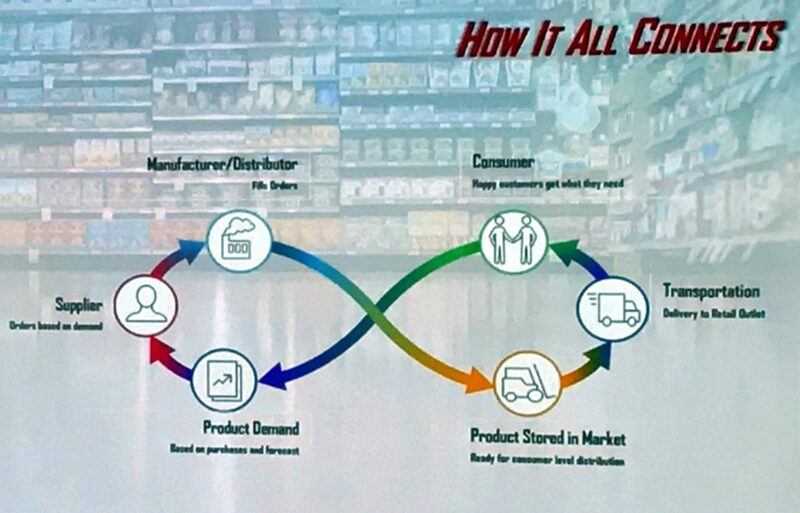 To frame this point, we need to put aside the local-goods-delivery for a moment and talk about the larger getting-stuff-from-Port-to-hinterland-through-logistics-hubs part of this equation. This is what separates us as a “Gateway” city from most other regions, and is the foundation of both the Port’s arguments on this issue and the emphasis of the Gateway Council model that has commonly dominated our regional transportation conversation. But what kind of Gateway have we built? Here in New Westminster, we host one end of a 114-year-old single-track swing bridge that is the only rail link crossing the Fraser River west of Mission. The City of New Westminster has something like 14km of river shoreline under Port of Vancouver jurisdiction, with about a third of that backed by industrial land, much of it under the Port’s direct control. Much of this land is used for logistics, cross-shipping, container storage, and other aspects of that all-important gateway-to-the-hinterland business. Yet over all of that space there are (2) conveyors moving aggregates and chips on/off barges, and one (1) pier occasionally used to move breakbulk lumber. These are the only location in New Westminster’s extensive port lands where anything is taken on or off of a boat. The only contribution our Port lands make to the Gateway is providing space to move and store trucks, and facilitate the movement of goods in and out of trucks. 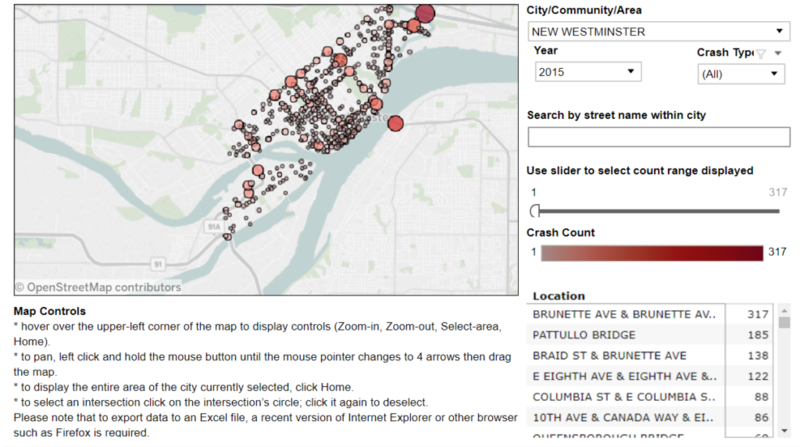 Unfortunately, New Westminster is not alone in this. How we move goods through the region is a choice we make, not a foregone conclusion. For these hinterland goods in containers, we have chosen to use trucks to move a large portion of them intra-regionally. A cynic would suggest that is because building waterfront infrastructure to make better use of short sea shipping and barges is expensive. Upgrading rail infrastructure so a single swing bridge isn’t the only vital link across a river that has seen 30 lanes of highway built across since that single track was installed, is expensive. Relying on roads and bridges is comparatively cheap from the view of the person who has to pay for the initial capital, because taxpayers will often pony up for “congestion reduction” investment, and the other costs (noise, pollution, public safety) are completely externalized, at least partially in the form of decreased livability of our communities. I’ve made this rant before. Since 1808 when Simon Fraser first tasted salt in the Sto:lo, there have been strains resulting from the needs of the Gateway to the Hinterland and the needs of the people living on the river’s shores. We can, however, find a better balance between these forces. It must include acknowledging that externalized costs of fueling the Gateway need to be accounted. Trucks are part of a functioning modern society, but their true role cannot be understood as long as we subsidize them over other options. *I was once at a forum-type event where the request for “question from the floor” was prefaced by this proviso: Your first sentence must be in the form of a question; there should not be a second sentence. I thought that was brilliant. Posted on January 21, 2018 January 23, 2018 . by Patrick Johnstone. Leave a comment. This is a terrible story. 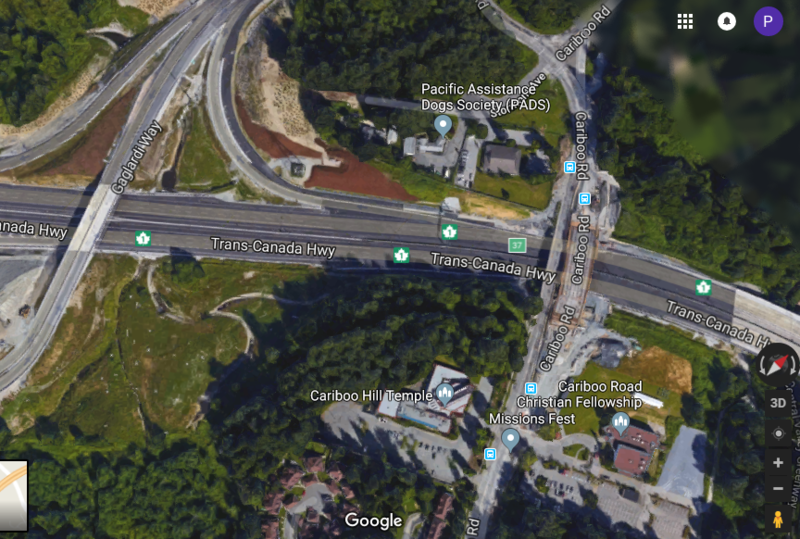 Over a period of four days, two pedestrians and a cyclist were struck by drivers of vehicles on the same section of Cariboo Road. The first pedestrian, a 15 year old, died at the scene. It’s heartbreaking. This is a piece of road I am familiar with. 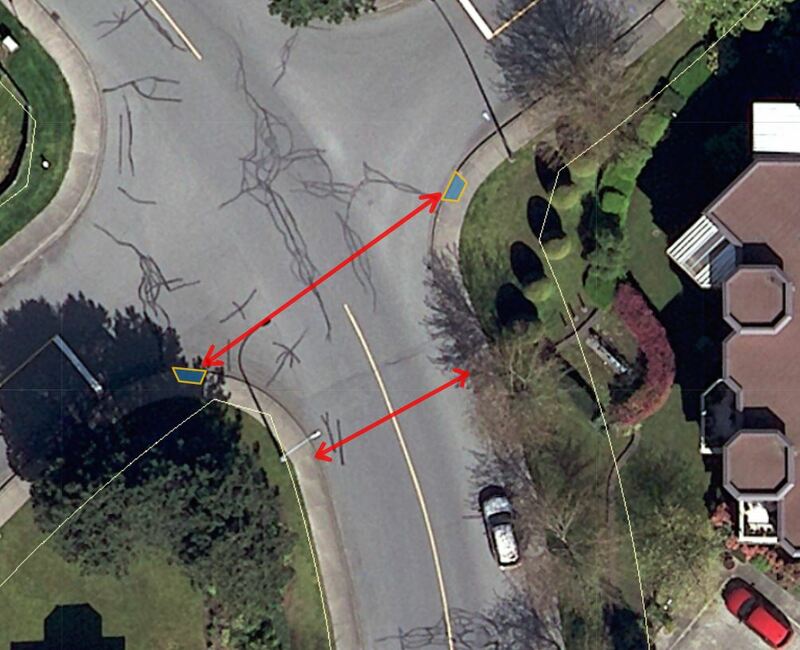 It used to be on my daily commute when I worked in Burnaby, and is still part of my regular cycling routine. So am quick to add my “anecdata” along with the list of people commenting that the crosswalk in question is a terrible design. It is a crosswalk that provides access to a well-used bus stop across the street from a residential area, but it is around a corner at the base of a big hill where the speed limit is ostensibly 50km/h, but every piece of the road’s design (separated centre, wide shoulder, 5m lane widths, sidewalk buffer) tells the driver to go much faster. And drivers do go much faster. So there will be wringing of hands, and pressure for the City to fix this situation. Likely, some sort of pedestrian-activated light will be installed at the cost of a couple of hundred thousand dollars that will marginally increase pedestrian safety, but will add one more step a pedestrian must take (hit a button, wait for a light cycle) to beg for the right to safety while moving through public space. Meanwhile, a little bit of targeted enforcement by the police will increase the perception of something being done until their attention is drawn elsewhere and driver’s behaviors revert to what the road design is telling them to do. The 85th percentile will again sneak up to its design point. Uncharacteristically, I am not going to hate on Burnaby here. That would be too easy and unfair. 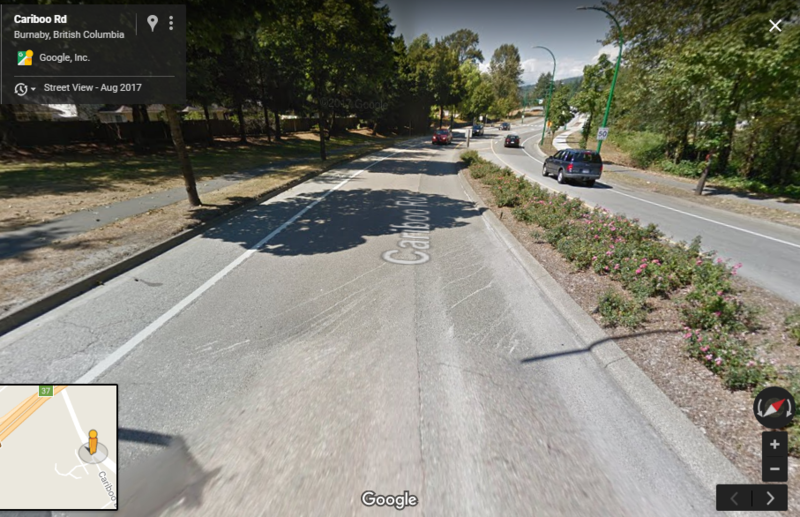 This situation is not unique to Cariboo Road, and it is not unique to Burnaby. It in no way undermines the seriousness of this situation to say these three incidents in such close proximity are an unfortunate coincidence. Realistically, I can name a dozen other areas where similarly hazardous conditions exist, and municipalities like Burnaby, Richmond, and (yes) New Westminster are slow to react to them. 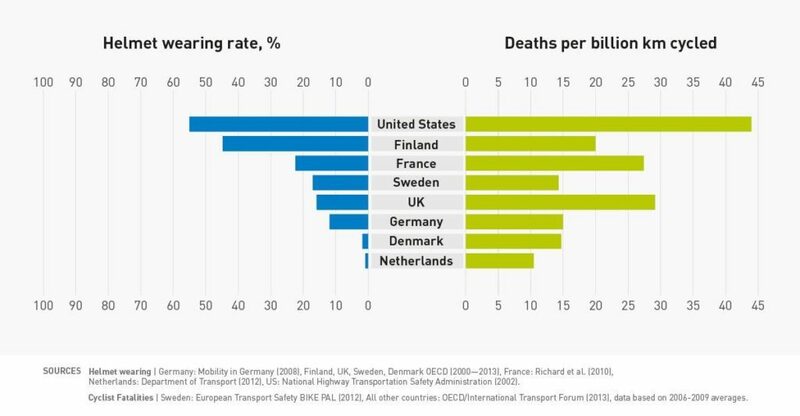 That these safety issues are so common is part of the reason we are so slow to react; there’s a lot of infrastructure to fix and a limited infrastructure improvement budget. Still, too much of it is spent on “getting traffic moving” in places like this, were public safety would suggest the opposite. I could go off on a long tangent about “warrant analysis” here, but instead I’ll just reiterate that even if the best intentions exist, priorities need to be set. There simply isn’t enough money to make every pedestrian crossing as safe as we would like, because there are too many unsafe intersections and crossings. 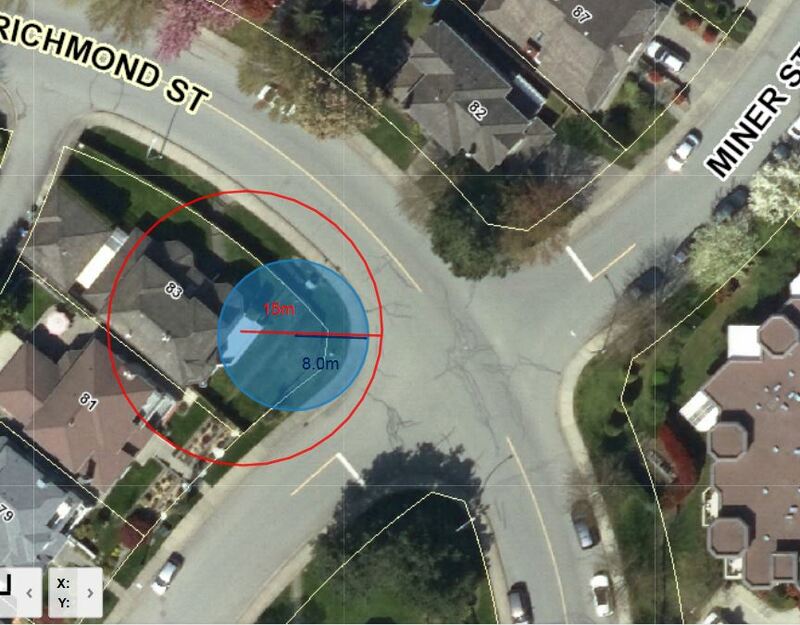 70-odd pedestrians are killed every year in BC, the vast majority at a marked crossing or intersection, demonstrating that we have a lot of work to do when it comes it engineering the protection of pedestrians. However, engineering can only get us closer to the safety we desire (and please spare me the long digression into autonomous vehicles, the fantastical promises of which seem to commonly fail when pressed against some simple inquiries into their remaining challenges). I’ve recently-enough ranted about how the vehicles pedestrians are forced to share space with are increasingly dangerous to those pedestrians, but haven’t really called out another trend supported mostly by personal anecdote: an increasingly callous disregard for the safety of other demonstrated by people driving cars in British Columbia, and the apparent reluctance of Police and Crown Counsel to meaningfully address this public health emergency. We have work to do as municipalities (working with and supported by TransLink and the Ministry of Transportation, I hope), and I am proud that New Westminster’s draft 2018 capital budget is showing a serious commitment to meeting the goals set out in our Master Transportation Plan – we are now spending as much on pedestrian and cycling improvements as we do on road repair and asphalt to “keep traffic flowing”. But at some point, we are going to need to convince drivers to meet us half way. We need to change people’s minds about their cars, their entitlement, and how that threatens the safety of our communities. Posted on February 2, 2017 . by Patrick Johnstone. 2 Comments. So once again, the MOT (Ministry of Transpiration) rolls into town looking to save us from gridlock. 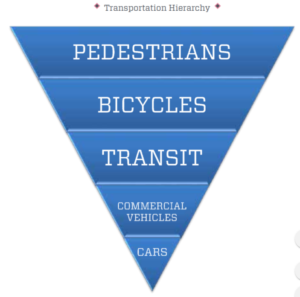 I won’t bore you with my opinion on this strategy, but it got me thinking: Where and how does the wishes of the MOT mesh/clash with the wishes of the Mayor’s Transportation Plan. I think you get my point, but let me expand. I understand the MOT is responsible for certain transportation needs, goods movement is one of them. So I know that truck corridors and the like are the purview of the provincial government and municipalities have to play ball. But on the other side of it, when and how does the Province have to place nice with the Mayors’ Council, or less formally, the wishes of Metro mayors? There are clearly vastly different visions of how to move people and goods within our region between the current provincial government and the (some) regional mayors. Square this circle for me. It is pretty simple. Cities exist at the pleasure of the provincial government. Every power local governments have, including organizations of local governments like the Mayors’ Council and the regional government committees, exists at the pleasure of the provincial government. They have the ultimate ability to overrule any local government decision, and the only price the provincial government would pay for exercising that power unreasonably would be a political one. This should be obvious when looking at the Vancouver School Board situation. A public body, elected by the public through open elections driven by politics, was fired by the provincial government for being “too political”, or more specifically, for acting in a way that was partisan and defiant of the provincial government. 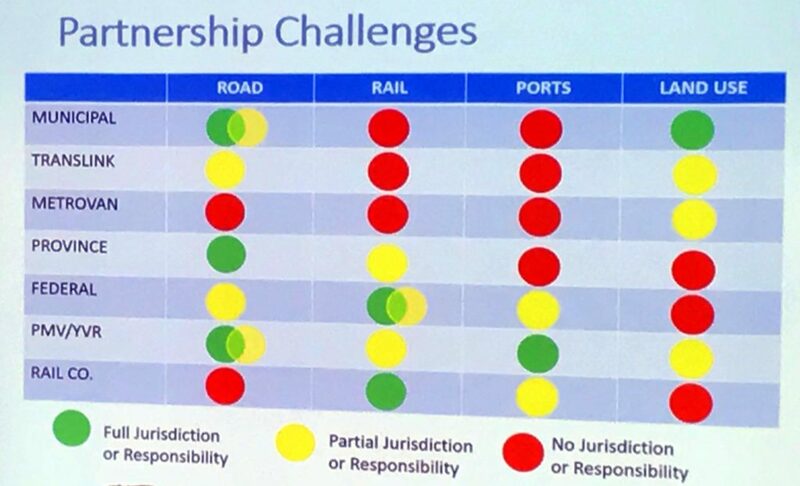 In the case of transportation in the Lower Mainland, you are correct in identifying there are at least two ongoing visions, and some significant incompatibilities between them. The first is outlined in the Mayor’s Vision and TransLink Transport 2040 plan that it supports. This was developed by the region (with, notably, the approval of the provincial government) and was designed to reinforce the Regional Growth Strategy and the Official Community Plans of the 22 Municipalities that make up Greater Vancouver. The second is being driven by the Gateway Council, a business-government hybrid organization that is primarily interested in moving goods through the region by providing subsidies in the form of taxpayer-funded asphalt through our neighbourhoods and cities. No point of hiding which of the two visions I support. There is a lot of history to this transportation schism. It goes back at least as far as Skytrain planning and the setting up of TransLink. There are roots in technology choices for rapid transit that resulted in SkyTrain technology being chose, through the Mayor’s refusal to approve building the Canada Line before completing Evergreen, and the subsequent stripping of their powers by Kevin Falcon. It is reflected in the sudden interest in building a $4 Billion bridge to nowhere while putting every roadblock in place to delay funding of critical public transit expansion. It continues today in the Vancouver Board of Trade (a prominent member of Gateway) calling for a 6-lane Pattullo Bridge long after the regions’ Mayors and TransLink have already settled on a 4-lane solution. It is not cynical to suggest MOT appears to take more guidance from the Gateway Council than from the Mayors. So it should be no surprise when a government so proud of its fiscal prudence suddenly finds $600 Million to build a highway expansion project, and that the residents of those communities are surprised at its sudden arrival. 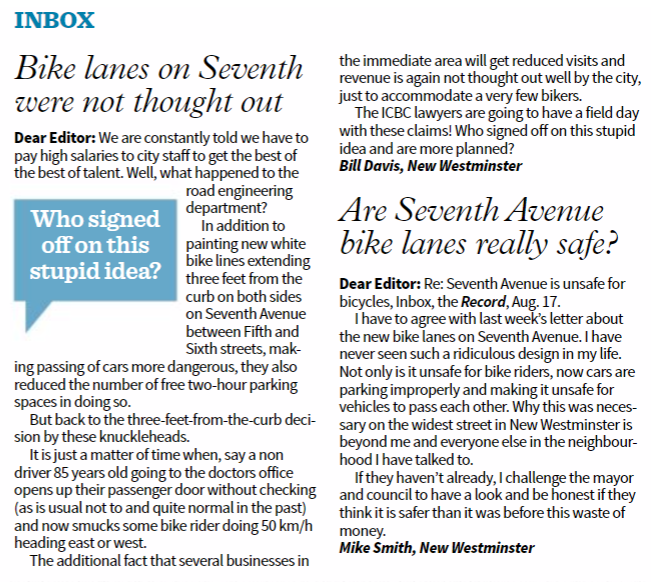 I have some pretty significant concerns with the project that MOT has presented to New Westminster and Coquitlam. Efforts to improve the Brunette overpass have somehow brought the UBE back on the table, and it is pretty clear how our community feels about the UBE. That said, I also have reasons to hold cautious optimism about this proposal, because it has resulted in unprecedented conversations between the Cities of New Westminster and Coquitlam. For the first time anyone can remember, staff and elected official from both cities are sitting down together to discuss our transportation connections, our concerns and needs, and are looking for the common ground, in the hopes that it can help define the best approach to the this project for both communities. I cannot speak too much about what is happening at those meetings (there will be press releases when appropriate), except to say that I have learned a lot about Coquitlam’s view of these issues, and I know they have heard and understood our community’s issues. I’m not sure we are going to come out with a perfect solution that satisfies all parties, but I am encouraged by the respectful and honest discussions going on, and the hard work staff from both cities are doing to make our political fantasies something that may be operational (that is more difficult that you may imagine). If we hope, as local governments, to influence provincial policy as it impacts our communities, we need to work together like this towards practical solutions, and make it easy for the provincial government to agree with our vision. That doesn’t mean we need to fold over to political pressure when bad provincial policy hurts our communities, but it also means we can’t collapse behind our own borders and pretend our local issues have no influence on regional issues. In the end, we may fundamentally disagree, but let us at least assure we understand what the position is that we are disagreeing with, and why. But to answer your original question – when does MOT need to play nice with municipalities? When the Minister determines it is required for political reasons. Vote accordingly. Posted on January 27, 2017 . by Patrick Johnstone. 2 Comments. The City has been doing a lot under the new Master Transportation Plan to re-prioritize our transportation system. As New Westminster is increasingly a compact, mixed-use urban centre, our public spaces become more important to the comfort and safety of residents, to the attractiveness and accessibility of our businesses, and to the building of community. That means our public spaces have to be safe places for people; that safety cannot be compromised in the interest of “getting traffic flowing”. Freeways are for flowing traffic, streets are for people. I’m proud of the work that the City’s Advisory Committee for Transit, Bicycles and Pedestrians (ACTBiPed) has done, and the collaborative attitude that City staff has adopted when discussion transportation issues, be they local traffic improvements or large regional projects like the Pattullo Bridge. 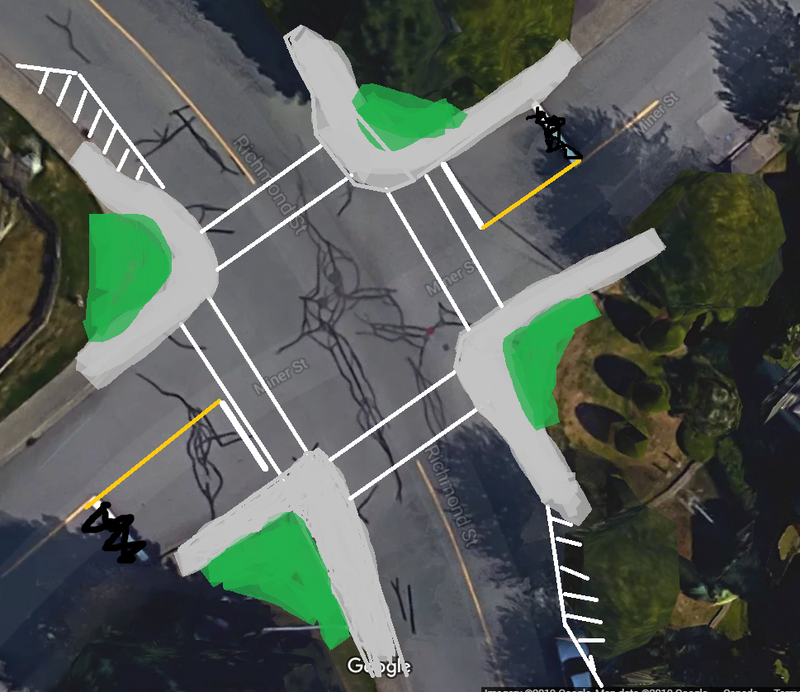 However one piece of the political puzzle around transportation has been notably absent, not just in New Westminster, but regionally, and that is an independent advocacy organization to support the rights of pedestrians, and assure their voice is heard. We have had various regional “straphangers” organizations over the years, and greater Vancouver has not one, but two separate cycling advocacy groups: The BC Cycling Coalition and HUB. The cycling groups have demonstrated that adding political voices together multiplies the volume, but also shows that advocacy can be constructive and collaborative. Their hard work over the last decades has resulted in millions of dollars in work making cycling a safer and easier alternative to driving in our region, and their work goes on. There hasn’t been any such organization regionally working on protecting pedestrian space, or helping governments make better decisions regarding pedestrian rights. Perhaps this is because pedestrians are not seen as an under-represented minority. When you think about it, we are all pedestrians. Even if the only walking you do is to get from your car to a parking space, you need outcross a sidewalk to get there, and want that space to be safe (To expand out to truly everyone – the definition of “pedestrian” in modern transportation planning includes those who need mobility aids like walkers of chairs to help them get around). But politically, pedestrians are almost silent. When the Ministry of Transportation, TransLink, or a Local Government design a new bridge or overpass, they seek input from the BC Trucking Association and the Gateway Council, organizations like BCAA and HUB use their political influence and the voices of their membership to assure that the interests of their member groups are added to the discussion. But pedestrians, for some reason, are absent. Because of this, sidewalks, crosswalks, and other aspects of the pedestrian realm are too often tacked on afterward, not integrated into the primary design thinking. The first thought is “how do we move cars”, then followed by “ok, let’s fit in some sidewalks”. Imagine how we would design our transportation system differently if we started with “how will a pedestrian use this space”, then decide what spaces we can allow for cars? 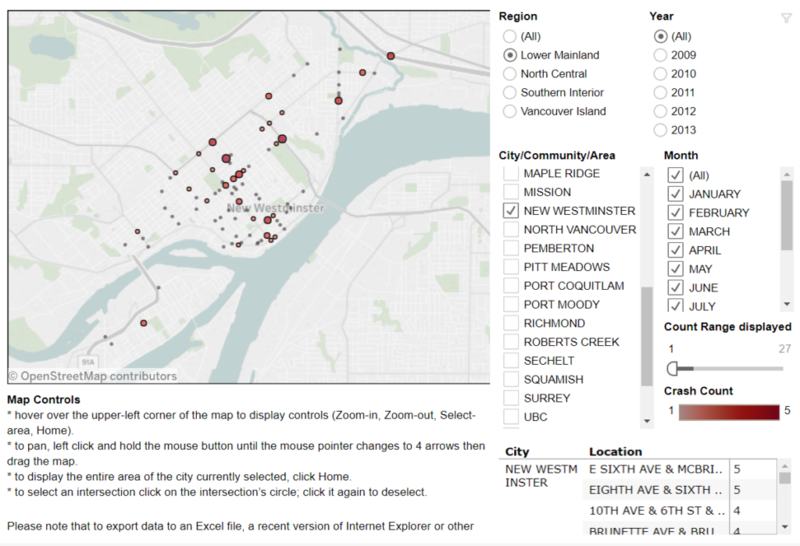 Shouldn’t that be the default mode in a dense urban area like New West? Where is the organization to advocate for this shift? The good news is that some local people are starting just this type of organization. They are calling themselves New Westminster Walker’s Caucus. They are a small group started by a few people familiar to the ACTBiPed as strong advocates for pedestrian rights, and for walking as a transportation mode. They have had a couple of meetings, and would love a little support from other walkers in New West and the region – show up at a meeting, lend them your skills, share the conversation. We are all pedestrians, it’s time we stopped being so damn quiet about it. Posted on October 24, 2016 . by Patrick Johnstone. 2 Comments. No doubt the biggest let-down last Council meeting, indeed the biggest disappointment of my time on Council, was the releasing of the updated projected cost numbers for the Q2Q bridge preferred concept. A short version of this project is that the City will receive “DAC” funding from casino revenues to spend on a fixed pedestrian link between the Quayside and Queensborough, based on a 2007 agreement between the City and the Province. Based on some very preliminary cost estimating, the project was put in the $10 Million range, so Council placed that amount in the budget to support the project. The idea has seen several rounds of public consultation, with several design concepts sketched out and debated. Ultimately, a design that would be acceptable to the regulatory authority that controls river crossings (i.e. a design that allows safe and unfettered barge traffic) and still allows reliable pedestrian use was developed to the point of doing detailed cost estimating. That cost came back at a little over $39 Million. The City doesn’t have $39 Million, and it is hard, with so many competing capital priorities, to see how we can get $39 Million to make this project work. I’m frustrated and disappointed. However, regular readers (Hi Mom!) know I rarely stick with the short version, so I thought I would go into a bit more detail about how we got here, and where we may go from here, because I want to slay some of the social-media-derived myths about the project. This project was not killed by NIMBYs. Over the last 10 years or so, the Q2Q project has gone through several iterations. 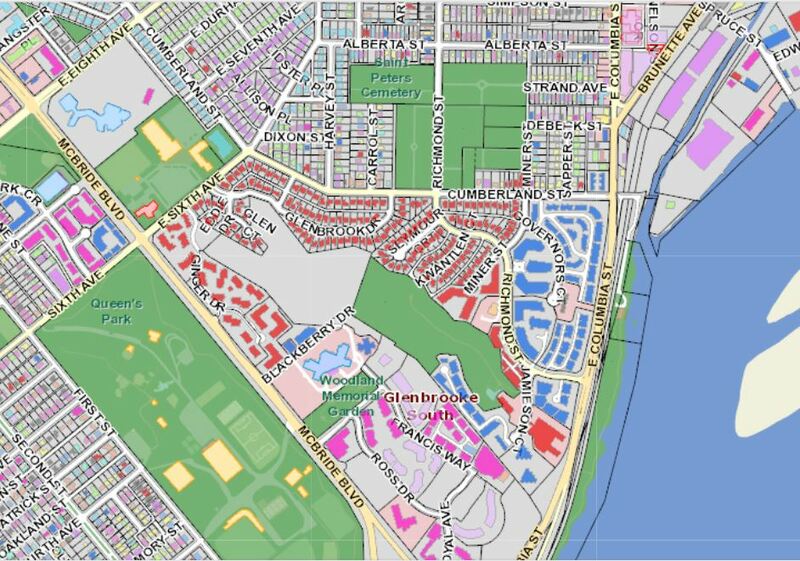 The DAC agreement was in 2007, but it was always anticipated that the Queensborough Community Centre update, other park improvements in Q’Boro, and the MUCF (now called Anvil Centre) would be the completed before the Q2Q project began. The DAC funding did not arrive as one big cheque in 2007, but is allocated as projects come along, and as casino revenues come in. Q2Q was a little further down the timeline. During those 10 years, preliminary planning work was done on a few concepts for a “fixed link”. At several times, early concepts with very preliminary sketches were bounced off of Quayside and Queensborough residents. For lack of a better term, these concepts were “focus grouped” to test public reaction and determine what potential concerns residents on either side and other important stakeholders may have. 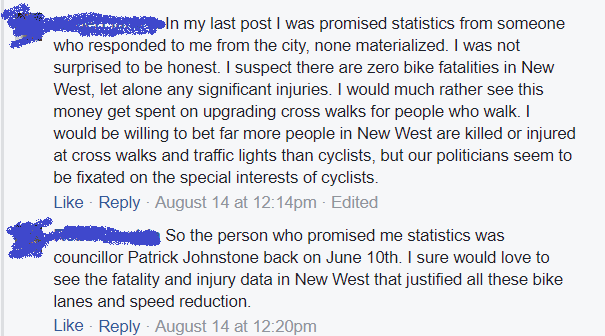 They were also run past pedestrians and cycling advocates (like me) to see if their needs were being met. Three different “high level” crossings were evaluated about 8 years ago. These would completely span the navigable channel at a height that met regulatory requirements (and therefore be about the same height as the Queensborough Bridge). There were some concerned neighbours about the mass of the structure, and some were concerned about the fate of the “Submarine Park”, but there were also some functional and cost concerns with this early concept. At the advice of the Council of the time, staff stepped back a bit to take a look at options that didn’t go so high as to span the navigation channel, and would require a lift, swing, or bascule section to open and allow boat passage. This opened up a large number of potential options, including new alignments. For a variety of technical reasons, a bascule was determined to be the best option for a lightweight span with a limited footprint. This evolved, through a type of value engineering, into a couple of models of twin bascules – one at a moderate height (but requiring elevators to be accessible) and one at a low enough height that grades were accessible (but requiring more opening/closing cycles, due to reduced boat clearance). These also saw some limited public consultation, and some neighbours expressed some concerns about the location of one of the “elevator” options. However, Council felt we had enough information to do a more detailed cost analysis of the most practical alternative. That alternative is the one that came back to Council with the $39 Million price tag. The concerns of neighbours were part of the considerations, but the $39 Million was the deciding factor. Cost estimates are necessarily iterative. Someone asked me how this project ballooned from $6 million to $39 Million? The simple answer is it didn’t. The original DAC funding formula envisioned a ~$10.5 Million crossing. I can’t speak to how that number was arrived at (I wasn’t even a local blogger in 2007!) but I can guess it was a simple bit of math: pedestrian bridge, 200m span, look at a couple of recent examples around the country, don’t worry too much about details (the City can always make up a shortfall if needed from their capital budget), and since we aren’t building it for another decade, any estimate we make now is likely to be off anyway. The point wasn’t to plan a bridge at that time, but to earmark parts of this one-time funding source towards worthy projects. The City then went to work on some of the other DAC projects: the Anvil Centre, the Queensborough Community Centre, and other waterfront improvements in Queensborough. To better make the financing work without having to enter too much long-term debt, they re-allocated some funding between DAC project areas. Consequently, the DAC funds for the Q2Q are now only a little over $6 Million, but another $5 Million in capital reserve funds was earmarked to cover the difference, meaning we still have the ~$11 Million originally earmarked. As far back as 2009, order-of-magnitude cost estimates for the high-level crossing were in the $15 – $22 Million range. This is when the City went back to the drawing board to see if there were more affordable options, and also started to look around for sponsorship and senior government grant opportunities to see how much of a funding gap could be filled. 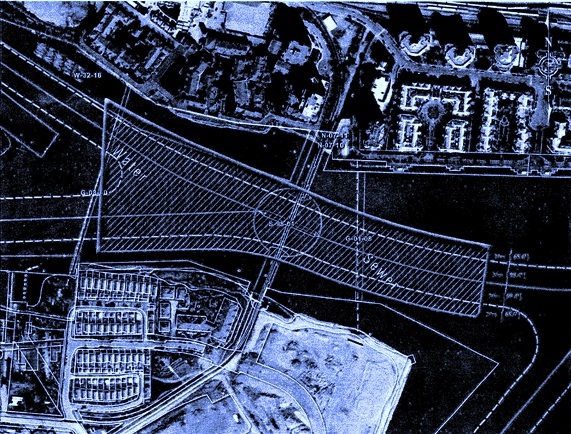 By 2013, preliminary estimates for the first bascule concept were given as cost of $10.4 Million. 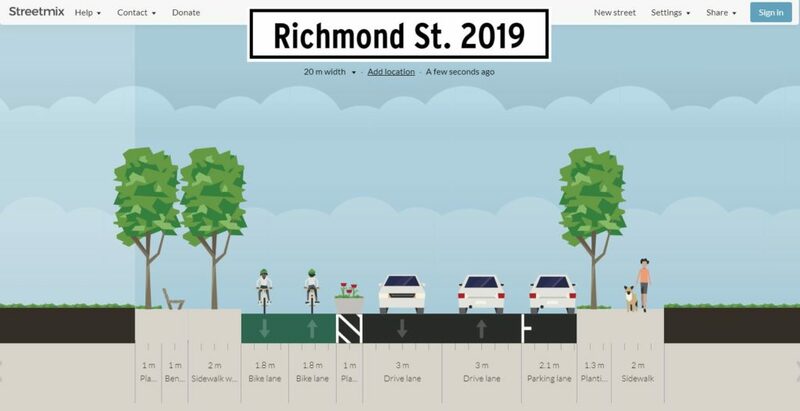 Fast forward to 2016, after Council asked staff to spend a little money on getting some detailed cost estimates on the more refined design, where $11 to $15 Million was still the general thinking, as we became aware of some of the significant engineering challenges. These included the need to install pillars in the river (not just on shore), the barge collision at Queensborough back in 2011 which definitely triggered a closer look at the safety factor for large vessels through the north arm, and the mechanical and operator costs for a bascule bridge. It seemed likely these would offset cost savings that might be realized by not going 22m high and building 1km of ramps. Add a few shifting project priorities as the public consultation and interest in the project increase (Strong enough to carry an ambulance? 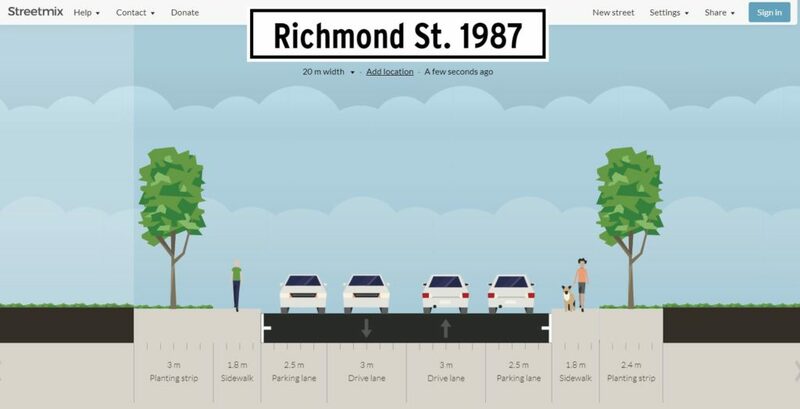 Wider than 2m for greater pedestrian comfort? Offset to reduce impact on vulnerable riparian habitat on the Q’Boro side?) and things start to add up. That said, cost estimating for engineering projects is a complicated business, and like most engineering, you get what you pay for. Early estimates were preliminary, in that a lot of the project definition we not yet completed. After working to refine a project enough that we could confidently define important parts of it, Council recently directed staff to get a Class ‘C’ cost estimate, which is considered to be accurate to about 30% variance (i.e., costs are unlikely to be 30% higher or lower than the estimate). We could spend a lot more money to get that estimate down to Class A level, but when the estimate we have is well outside of our affordability range, we need to decide whether the extra design work required would represent money well spent. I can’t speak too much about the decisions and work done before I was elected, but this webpage has links to the reports that have come to Council since 2013, where you can (if you care) walk through the public process planning for the Q2Q has been. I wrote a blog post a little while ago that talked about some of the complications and compromises required to make this project work, then followed up to answer a few questions, so I don’t want to go through all of that again. This is not a simple project to build, for a variety of reasons, and it is very different than a simple pedestrian overpass. Strapping a sidewalk onto the side of the existing train bridge raised other issues that seemed insurmountable. Many other proposals I have heard (a bridge to Poplar Island then a second to Queensborough, for example – why build one expensive bridge when you can build two at twice the cost?) have also been similarly evaluated, and either didn’t make sense at the time, or had significant issues that seemed to prevent it happening. If it was easy, we would have done it already. Q2Q is still a good idea! This is a serious setback, but I want to make it clear that I am still a big supporter of this project concept. A fixed pedestrian link between Quayside and Queensborough makes so much sense at so many levels. It has a certain tourist appeal (especially if you can build something aesthetically pleasing), but it isn’t for tourists. It is to connect people and businesses on both sides of the North Arm better, it is to connect the great pedestrian and bike routes on both sides of the North Arm, it is a vital piece of transportation infrastructure for the people of New Westminster, and for the region. Is a passenger ferry a good substitute? No. I do not think a passenger ferry service is a substitute for a fixed link. As a vital piece of transportation infrastructure, a fixed link provides certainty and reliability that a ferry service can’t. I think of it like a bus route (which can always be cut at the whim of a government) compared to a light rail line (which is a fixed asset difficult to remove). There is reason the bus lines running down Hastings have not resulted in the kind of development that the Skytrain running down Lougheed has – the latter is something people can count on still being there and reliable 20 or 30 years down the road – certainty is an incentive to investment. There is also the strange psychology of having to schedule/wait for a ride, vs. just being able to hop on a bike and spin across at the drop of a hat. The former “feels” like a tourist attraction, the latter more like a transportation link. However, in the meantime, I think it is worth trialing a ferry service to determine the interest, and perhaps to argue the need for a more permanent link. Or maybe (I sincerely hope) the trial will prove my skepticism wrong. These cannot be the little aquabuses that run to Granville Island – currents and logs and heavy industrial traffic mean the Fraser needs a somewhat more robust design. We will need to invest in some dock upgrades and look for a partner to run the show. It is highly unlikely that a ferry can be made accessible for people with mobility issues. However, with luck we can have something running in the late spring. To me, the fixed link dream is not dead, but it is definitely suffering a bit. I am hoping for a miracle some really creative thinking to come along that makes the transportation link more accessible and permanent. I am interested in looking at a more stable and reliable ferry option (like a fixed cable ferry), and wouldn’t turn my nose up at urban tramway ideas (could we connect to New West station? ), or a pedestrian tunnel as is common in England, and would get us out of our 22m clearance issue. There may even be more efficient and elegant bridge designs that haven’t seen complete costing analysis but may thread the needle between what is acceptable to the river users and what works as urban transportation infrastructure. It breaks my heart that we don’t have an immediate path forward on a bridge. I think it is a really important idea for the City, I just wish I could responsibly say the cost as presented made sense for the City.